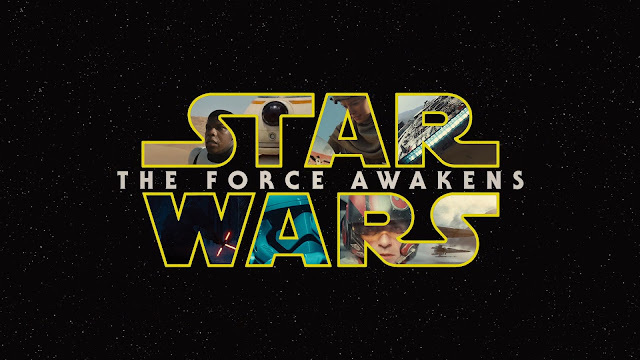 Earlier this week, the trailer for Star Wars: The Force Awakens premiered. Star Wars has a legacy that spans generations, and it's clear that there are many more adventures to be had among the stars. The Fangirl Initiative contributors have assembled to give our thoughts. So, my first reaction to this trailer was monosyllabic and not quite articulate. After the initial AUGH, my mind started reeling. Out of all my fandoms, Star Wars is in a tie with Tolkien for having been in my life the longest. That being said, Rey would have been so cool to have had around when I was a little girl. She also looks how I'd always imagined Jaina Solo to look... I really hope that's relevant. I'm really glad that this new incarnation has a wide variety of female characters of different ages, it was about time (I hope they all get merchandise). I always say Han Solo was my first love. It is going to be wonderful to see how my scruffy-looking, nerf herder has matured. Strangely, the scene where Han is telling Rey and Finn that "it's all true" affected me the most. How is Abrams' adaptation going to show the after-effects of the earlier trilogy on the main three? With the Expanded Universe out the window, we have a completely blank slate. Nothing is guaranteed! However, seeing Han and Leia together in this trailer gave me the warm fuzzies; they were my OTP before that was a term (If they aren't together I will riot). I feel like this film is going to do a good job balancing nostalgia with all of this new stuff! About Luke...Why? Just why? Please don't have gone rouge. Then again, I could see this going a couple ways. Either Luke has gone hermit in the great tradition of his masters, or something more sinister has taken ahold of him. I don't know how to feel, Darkside!Luke could be interesting, but I still really don't want that to happen. I'm still bitter about Mara Jade no longer being canon. Luke is just making me all kinds of nervous right now. My first thought about the new villain: Who is this guy? (Still my thought.) Wow. So that was pretty sweet. I’m really liking the looks of the costumes and the new type of droid. This whole Vader admirer, or whoever that guy is, makes for an interesting concept. I think it might make for a good connection to the classic films. Where is Luke, though? We keep seeing a hooded figure with a robotic hand, but it isn’t really confirmed to be Luke. And Leia. Where’s Leia? I guess they’re trying to build the suspense. I really like these new characters. The storm trooper idea is such a cool one. I’m also curious to learn more about the pilot guy. Great trailer. Hopefully they’ll release a slightly longer one soon. The goosebumps start with that very first high note and the first frames of Rey scavenging the remains of that huge Star Destroyer. The living room is quiet. The Millennium Falcon—as big and beautiful as she’s ever been—swoops across the screen, and I feel a rush of delight and affection—as if catching sight of an old friend. Gorgeous vistas and a fierce, desperate battle over what we now know to be the planet Jakku are joined by a new sweeping, soaring rendition of the Force Theme that we fans—and I specifically—love so much. Something catches in my chest and in my throat, and my vision glazes over with a film of tears. Characters old and new speak in fondness of years gone by, utter promises and hopes for the future, and offer a call to arms for both themselves and the fans. By the time “STAR WARS: THE FORCE AWAKENS” rolls across the screen, I whoop and cheer—in sentiment, if not in the same words—“This will be EPIC.” I don’t remember the last trailer that made me feel this way. But then again…this is no ordinary trailer. Where most trailers show you things that you’ve never seen before (although in fairness this is also true of Episode 7), this one has decades’ worth of joy and memories and thrills and tears bound up in the new scenes we’re viewing. And at the same time, I know millions of fans across the world are experiencing the same emotions of wonder and awe and joy that I am. I eagerly await December 18th to return to the galaxy I love so much, a long time ago, far, far away. Trying to put into words how I felt as the trailer flashed across the screen of my computer is easier said than done. I don’t remember watching the trailers for the prequel films. I know they arrived, so I must have seen them. But the thrill, the anticipation, for such a film isn’t present in my mind. Star Wars was returning to the world, yet I didn’t feel the excitement riveting through me. Until now. I spent a good portion of the trailer asking questions like: WHO ARE YOU? WHAT ARE YOU? TELL ME! But the moment the Millennium Falcon comes sweeping across the screen, it hit me: Star Wars is coming back. This is happening. It’s almost here. And I couldn’t sit still. I squeezed my face between my hands, I grinned stupidly, and I let my heart roar with the sounds of X-Wing engines, light-saber hums, and the familiar music that I’ve known from childhood. Sure, the trailer didn’t answer many of my questions. It only gave me thoughts and theories of what is to come. But with the familiar faces of Han and Leia, dialog about the Force, and the absolute thrill of light vs. dark, good vs. bad, rebel vs. empire present throughout the trailer: I knew I had, in the words of Han Solo, returned home. And I’m not afraid to let it in. There are always those fandoms that have been with you forever—a quiet presence in the back of your mind. For me, Star Wars is one of those fandoms. I was introduced at the age of nine to the prequels and originals alike. While the prequels have lost their charm as I’ve gotten older, the legacy of Star Wars still remains. Ever since the teaser trailer came out, I’ve been so stoked about Episode VII. When I saw the extended trailer, my feelings only intensified. This is the Star Wars I never knew I wanted—Han Solo and Leia and Luke guiding the next generation of padawans. The new additions to the story are amazing. We have an amazing female lead, Rey, who looks amazing even from the few glimpses we’ve seen of her. We have Finn, a former Stormtrooper on the path to redemption. And we have Poe, the amazing X-wing pilot. We also get Lupita Nyongo’o in an unspecified pirate role (!!!). We have representation for women and people of color alike. In addition, Harrison Ford and Carrie Fisher have returned, and they look amazing. Everything about The Force Awakens has grabbed me, heart and soul. I got chills when I saw Han saying the stories were all true. I got chills when I saw Chewbacca back again. I got chills when I saw Han and Leia hugging (I ship it so hard). I got chills at the end. I’m having trouble expressing how excited, inspired, and teary-eyed I am about this. The Force is back—it’s awakening—and I’m ready to once again go on a journey through the stars. Just let me go grab my light saber.